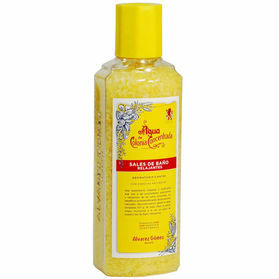 Alvarez Gomez Agua de Colonia Concentrada Bath Salts help you enjoy a relaxing and invigorating experience. Softening and soothing properties of minerals with benefits of natural essences. ​Evokes the lovely, fresh Mediterranean fragrances of Lemon, Thyme, Lavender, Eucalyptus, Geranium and Rosemary. 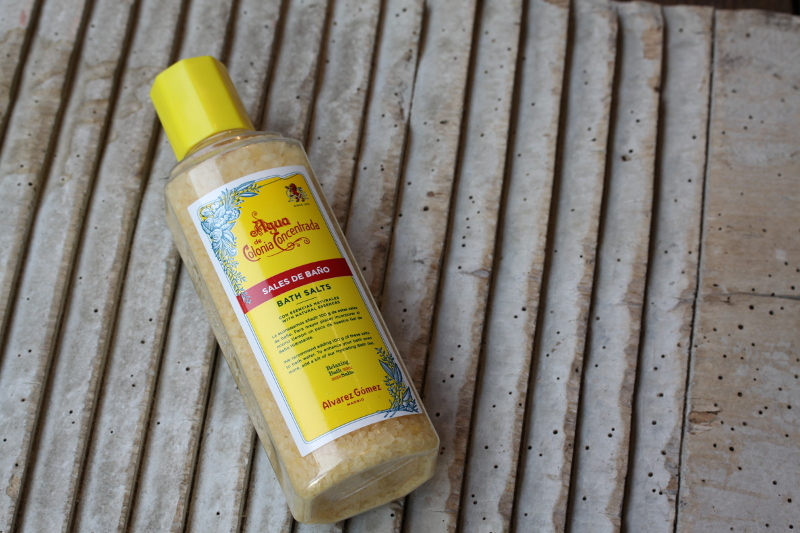 Gently infused with the scent of Agua de Colonia Concentrada, making for an incredibly relaxing bath, serving to calm the mind whilst softening the skin. We recommend adding about 100g of these salts to warm bath water. Alvarez Gómez Agua de Colonia Concentrada Bath Salts help you enjoy a relaxing and invigorating experience. Softening and soothing properties of minerals with benefits of natural essences. For maximum pleasure while incorporating some of Agua de Colonia Concentrada Moisturising Bath Gel. We recommend adding about 100g of these salts to warm bath water. Evokes the lovely, fresh Mediterranean fragrances of Lemon, Thyme, Lavender, Eucalyptus, Geranium and Rosemary. Gently infused with the scent of Agua de Colonia Concentrada, making for an incredibly relaxing bath, serving to calm the mind whilst softening the skin. Kick back and unwind after a stressful day with these relaxing bath salts, packed with natural minerals that soften the water and skin. This premium bath treatment invites you to let go and breathe easy with its light and refreshing scent. Leave your troubles behind and resume your daily routine rejuvenated by these fragrant and calming waters.